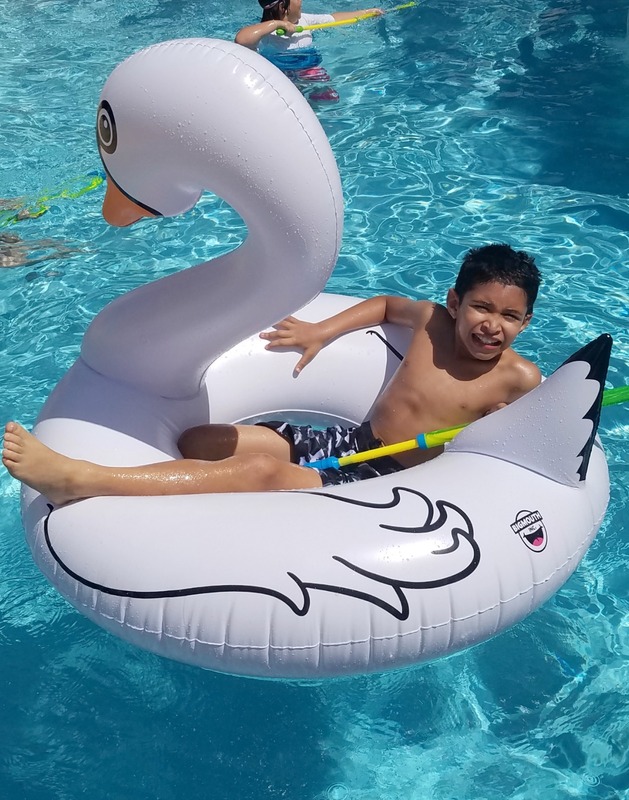 It's summer and time for fun in the sun!! We are all about spending our time outdoors during the summer. We love going to the pool and the beach, fishing off piers and playing basketball at the park! 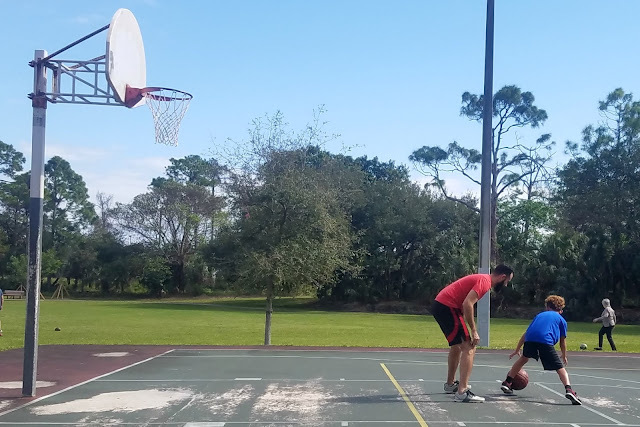 Outdoors is the best way for us to stay active as a family and bond at the same time! When you spend as much time as we do outdoors, there are three simple rules to follow: drink plenty of water, wear sunscreen and always carry a bag with snacks! Since we always need a bag to store snacks and gear, especially when we go to the beach, I like to practice my reduce, reuse, recycle skills and create a bag. Yup, me, the lady that has no idea how to sew creates bags. Nothing fancy, just a simple tote bag to carry our things. 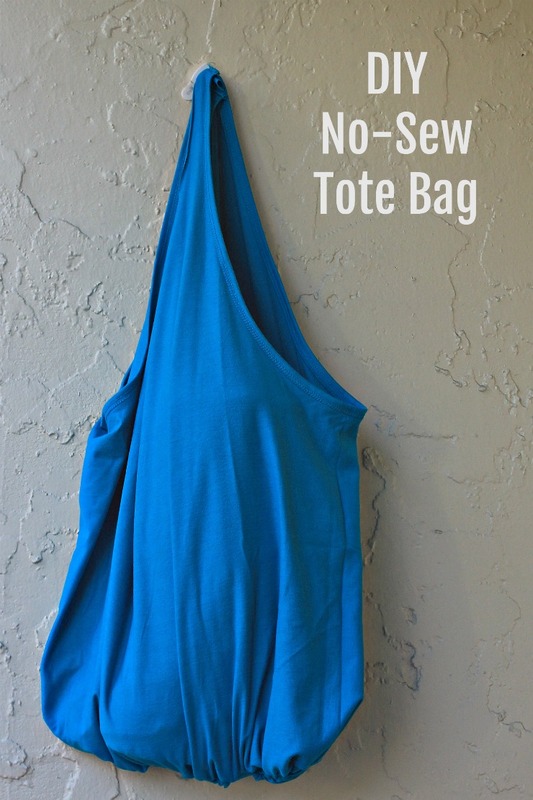 Totes are super easy to make, are an easy no-sew project and even the kids can get in on the fun! 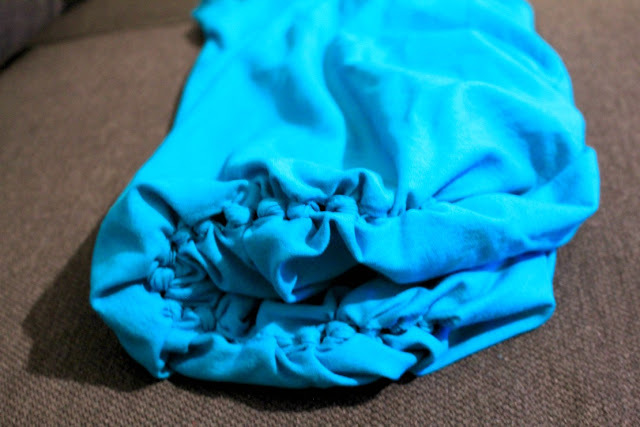 Only 2 materials and about 10 minutes gets you a tote bag. Unbelievable, right? 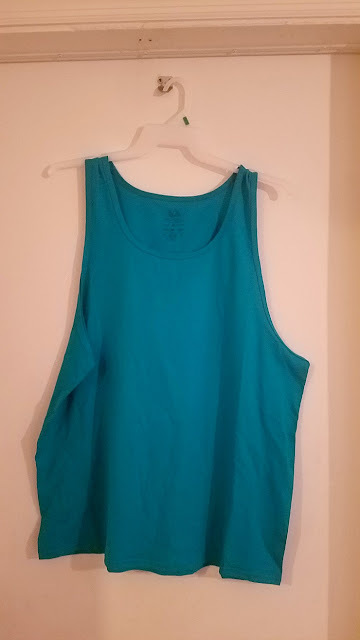 I started this tote bag with an old tank top but you can easy use a shirt with sleeves. 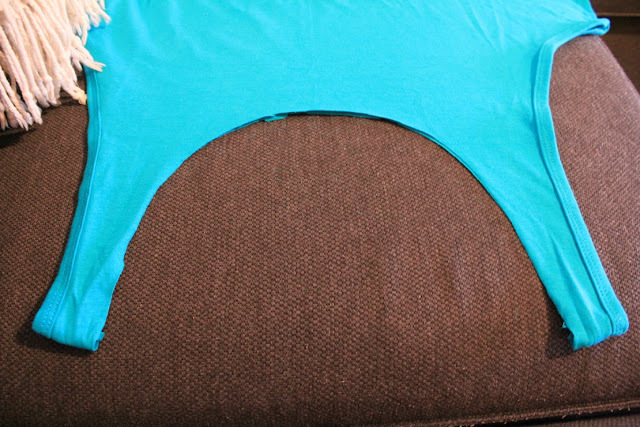 First step is to cut out the sleeves (if you have them) and all around the neckline. Then cut along the hem of the shirt. 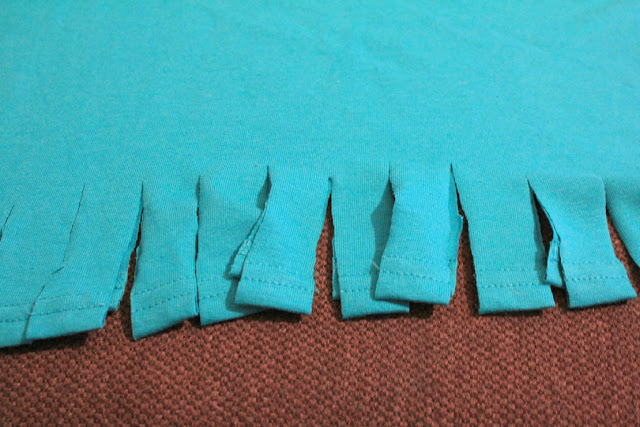 Cut into the hem about 1 1/2 inches. These cuts do not have to be perfect. I eyeball it. Grab a set of strips and tie into a double knot. Continue along the hem until all strips have been knotted. 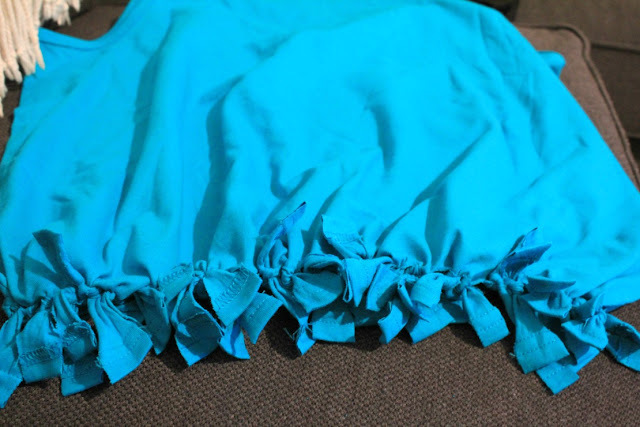 Ta-dad.......easy no-sew tote bag perfect for any outdoor activity. Mine is packed with a beach towel, a bottle of Blue Lizard® Sunscreen, a bag of chips, a book to read and my phone!! 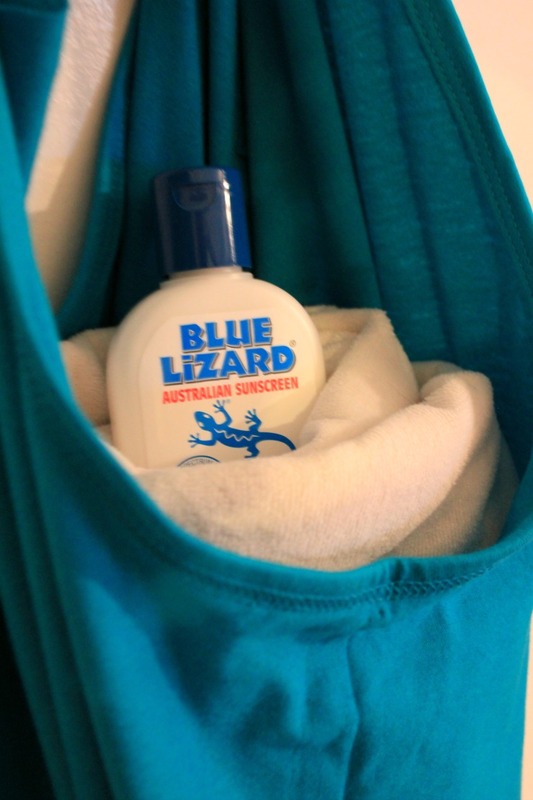 Originally created in Australia, where sunscreen standards are the strictest in the world. Blue Lizard® is now made in the U.S., in Johnson City, Tenn. Ranked as one of the top sunscreens by the Environmental Working Group (EWG).Baby and Sensitive varieties are paraben-free, chemical-free and fragrance-free. Face is also oil-free and all formulations are mineral-based containing Zinc Oxide.Sport is extremely water resistant. This formula meets Australian standards of staying on 240 minutes of whirlpool water. 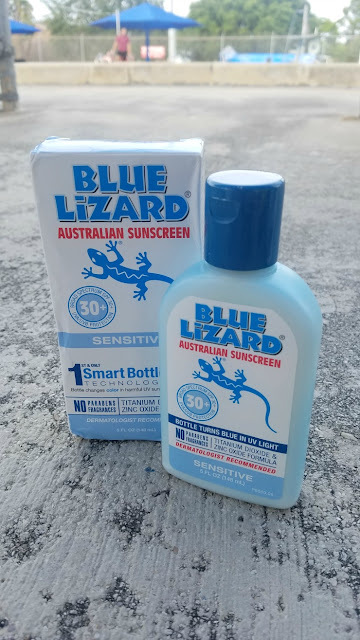 Blue Lizard's® patented PBA-free Smart Bottle™ changes color from white to blue (or pink for Baby) when it is exposed to harmful UV rays, reminding you to put on sunscreen. 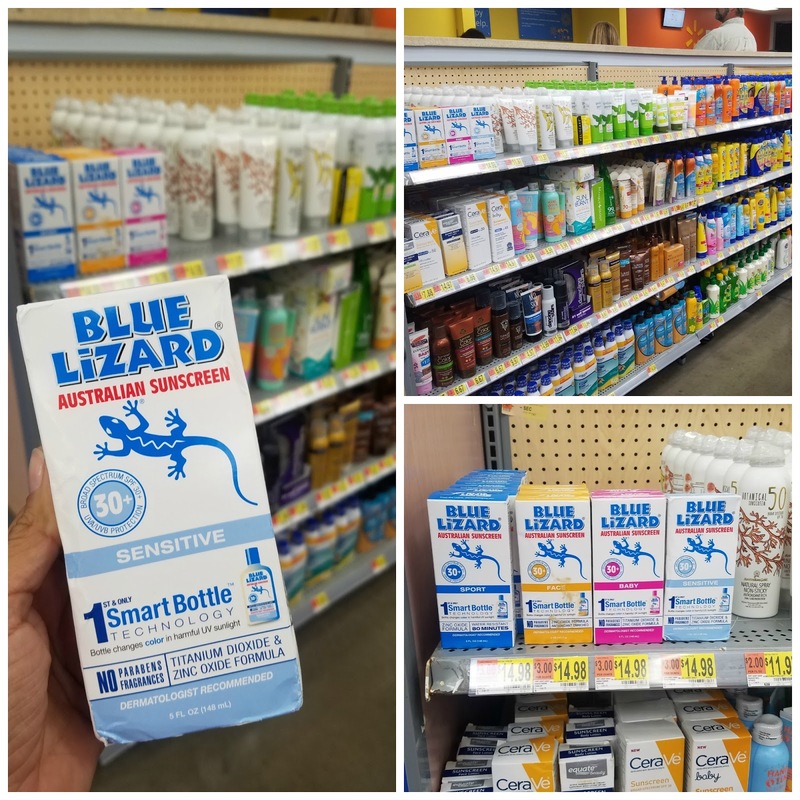 You can easily find Blue Lizard® at Walmart stores. Join iBotta and earn $4.00 when you purchase Blue Lizard® Australian Sunscreen - Sensitive, 5 oz. bottle only.